Oftentimes, we wonder what our spiritual gifts are. Today, my friend Cynthia Simmons will talk to us about the spiritual gifts that God has given us. Pride comes so easily to us, but so does poor self esteem. Neither extreme brings good mental health. So what’s the answer? In the next few verses the Apostle Paul launches into an explanation of spiritual gifts, and I believe that forms an excellent basis for a balanced view of ourselves. Think about it. God gives every believer a gift. No one gets left out. Furthermore your gift may be mercy, but it will have a different slant than others in the church. You’ll be uniquely gifted to do a job no one else can do the way you can in the time and place you live. Even more than that, when you exercise your gift, you become a vital part of the whole church—a necessary cog in the workings of the machinery. Should you fail to use your gift, the church will lose the special ability to touch the world as God planned. Imagine your body deprived of an eye, or even the big toe. Doubtless you’d miss either one. Do you battle with thoughts of insecurity? Discover and use your spiritual gift. Do you combat pride? View yourself as a member of God’s church with a vital role to play. The church needs us all, working together for God’s kingdom. Cynthia L Simmons and her husband, Ray, have five children and reside in Atlanta. She has taught for over twenty years as a homeschool mother and Bible teacher. Active in Christian Authors Guild (CAG), she conducts writing workshops and has served as president, vice president, and conference director. In December 2009 the membership granted her Life Time Membership for her numerous contributions to writers. 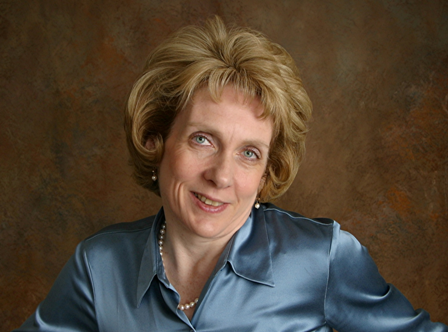 “Cindy” is fond of history and writes both historical fiction and nonfiction. Her writing appeared in CAG publications, NATHHAN NEWS, Chattanooga Regional Historical Magazine, Georgia Right to Life Newsletter, Chattanooga Times Free Press, Catholic Exchange, and Christian Devotions.us. Her first book, Struggles and Triumphs, came out in 2008. While promoting her book, she had interviews on radio and TV across the nation and was nominated for 2008 Georgia Author of the year. She also conducts monthly podcasts called CAG Spotlight in which she interviews authors and VIPs in the writing industry. At present she is completing a twelve week Bible study using the stories in Struggles and Triumphs. What’s wrong with our world? Shouldn’t a God who claims to be all powerful and flawless prevent suffering? How can we continue to believe when storms rage on in our lives? If you’ve ever had tough questions like these Struggles and Triumphs Study Guide is the book for you. Author Cynthia L. Simmons will guide you toward answers with her unique and enlightening approach. 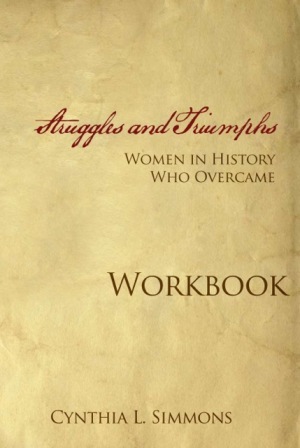 Her twelve-week Bible study for ladies comes from stories of real women as told in Struggles and Triumphs: Women in History Who Overcame. As you study, you’ll come to understand God’s perspective on timeless issues that impact your life. The carefully chosen Scriptures combined with interesting historical information will challenge and encourage you. This entry was posted on Tuesday, April 17th, 2012 at 7:57 am and is filed under Christian Living, Devotional, Family, Friends, Gospel. You can follow any responses to this entry through the RSS 2.0 feed. Both comments and pings are currently closed. Thank you for sharing this with us. I use much of what she must teach with my own children (esp. considering others as more valuable than ourselves!). Yet, we also need to understand we ARE valuable in the Kingdom and amongst the Church. this sounds like a marvellous book…I will look forward to reading it! Hi Shenine, thank you for visiting my blog and your words of encouragement.